1. True or false: Dividends are irrelevant. 2. True or false: Dividend policy is irrelevant. The first statement is surely false, and the reason follows from common sense. Clearly, investors prefer higher dividends to lower dividends at any single date if the dividend level is held constant at every other date. To be more precise regarding the first question, if the dividend per share at a given date is raised while the dividend per share at every other date is held constant, the stock price will rise. The reason is that the present value of the future dividends must go up if this occurs. This action can be accomplished by management decisions that improve productivity, increase tax savings, strengthen product marketing, or otherwise improve cash flow. The second statement is true, at least in the simple case we have been examining. Dividend policy by itself cannot raise the dividend at one date while keeping it the same at all other dates. 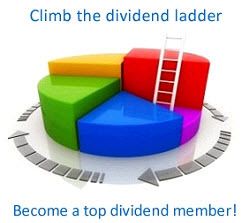 Rather, dividend policy merely establishes the trade-off between dividends at one date and dividends at another date. Once we allow for time value, the present value of the dividend stream is unchanged. Thus, in this simple world, dividend policy does not matter, because managers choosing either to raise or to lower the current dividend do not affect the current value of their firm. However, we have ignored several real-world factors that might lead us to change our minds; we pursue some of these in subsequent sections.